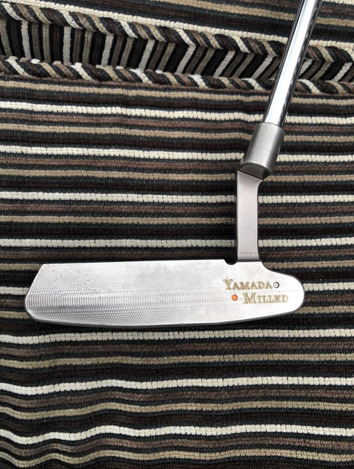 I'm about to receive this little gem, a Yamada Musashi. 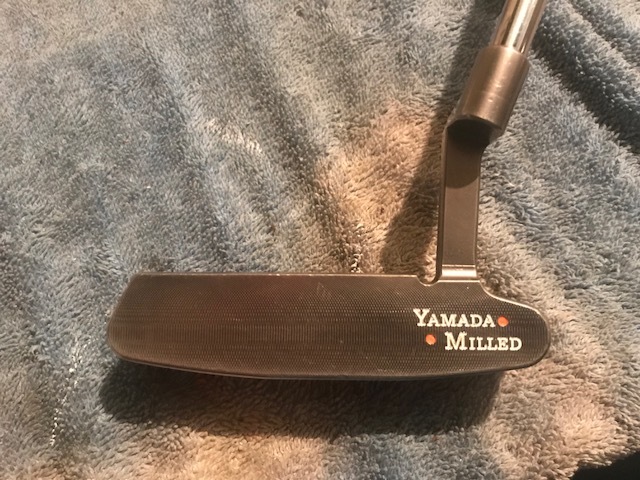 My first Yamada putter. It probably requires a little TLC when I get it, but think it might turn out to be a beauty. 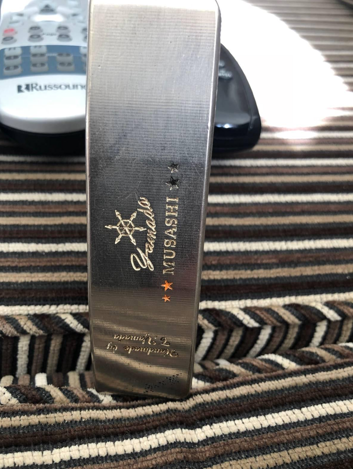 Interested to hear any information and opinions about these putters.The only threads I can find seem a few years old. Do they still make them? The Yamada website mentioned in earlier threads seems to be no longer operating. From everything I've read they seem to be excellent quality and have great feel. Here's hoping. 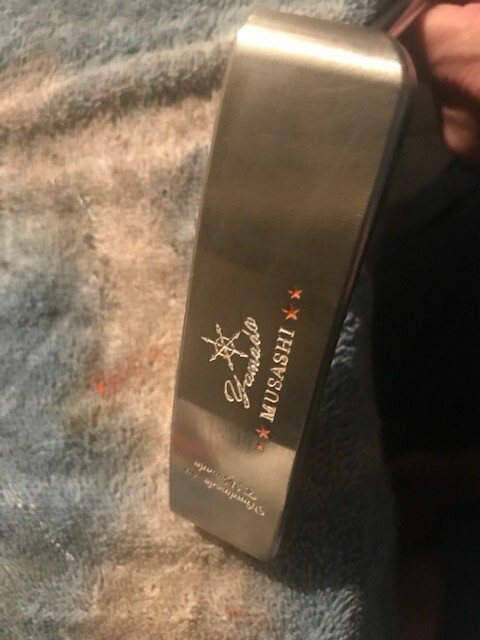 This Musashi is apparently the same/similar to their 85029 putter. Anyone out there own one and can tell me what they think? My quest will now be on to find a Yamada Razor. I collect 8802 styles, and that one looks a beauty. Thanks for chiming in. I value your opinion, they must be good. Yeah, checked eBay. But not seen one of these Musashi's for sale (or a 85029). If you see one, send me a link please. 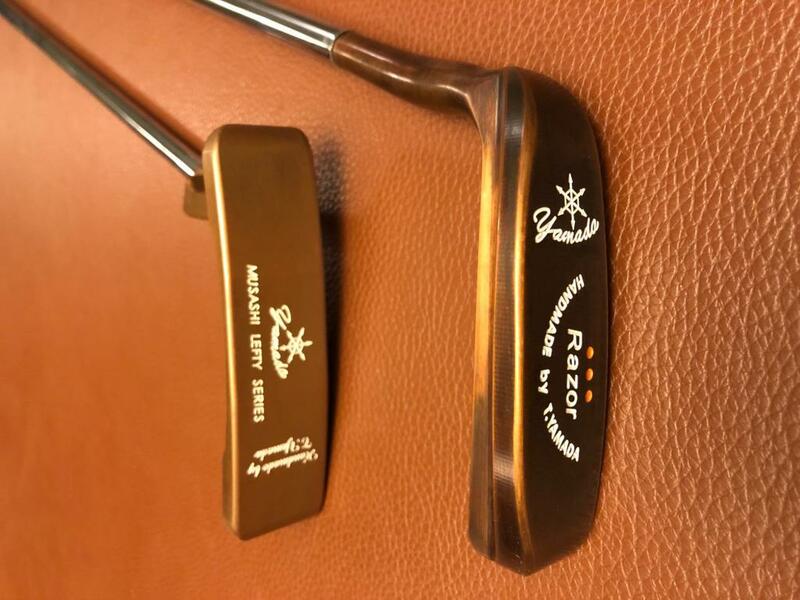 I own 2 Yamadas, one custom & one machine milled (Oldman model). I believe he retired and doesn’t hand mill anymore. Got my hands on it now. Overall it's in excellent shape with virtually no dings or scuffs. Face top and sole are great. 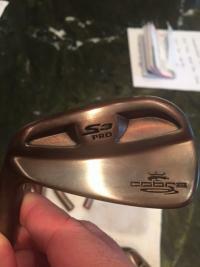 Paint fill needs re-doing. But there is quite a bit of corrosion in the corners of the cavity. The major detracting point. What's the best way of getting that removed? Coke bath? WD40 and steel wool? Or would it be best to send somewhere good for a refurb? And, open to suggestions of the best grip to put on it. 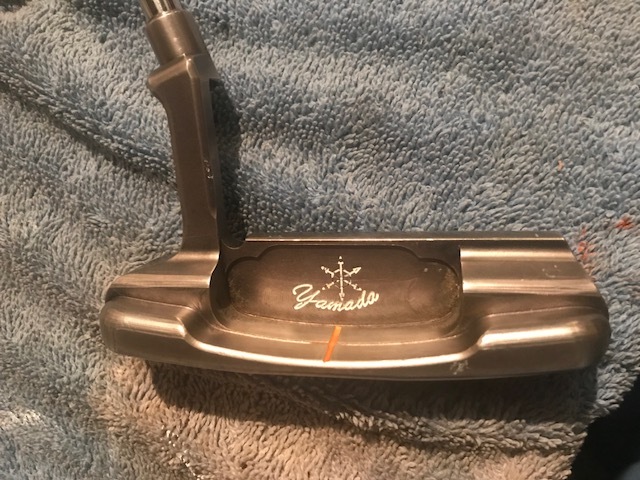 Should I go original Yamada grip? 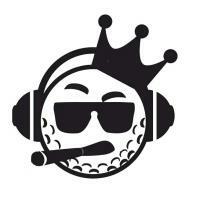 Or would it be fine with a Golf Pride, or Iomic etc. Yes, thanks GH, I'll be putting a standard grip on it. 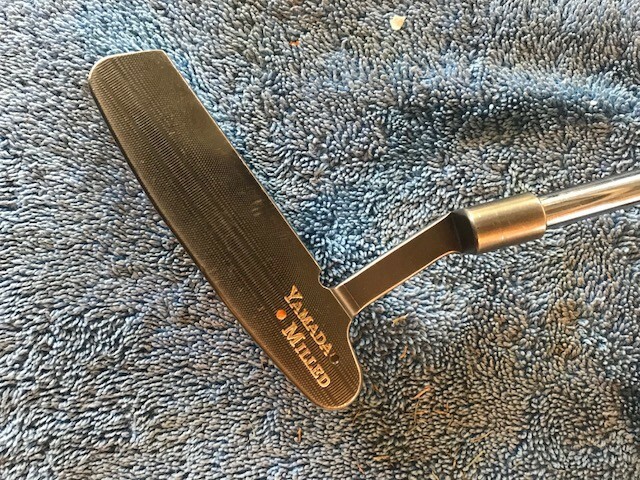 Just wondering on whether to keep with a Yamada Grip, or a 3rd party decent grip. I'm still after ways to remove the corrosion in the cavity. Anyone? What's the best method? Pretty hard to get right in the corners. I would definitely hit the original Yamada grip first. No question. Might be perfect. I'm a big fan of leaving perfection be. 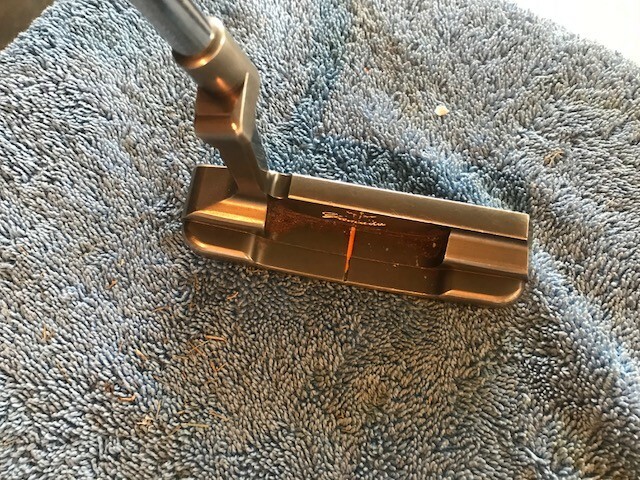 Before I bought my putter from a shop in Fukuoka, I was speaking with John and I think Mr. Yamada is making putters again but in a more limited fashion I believe. "The price for the handmade models is $575 plus about $12 shipping to US and $75 international. They can take about 4 or 5 months to receive. The last order was longer but he promises he can make them a bit faster now. 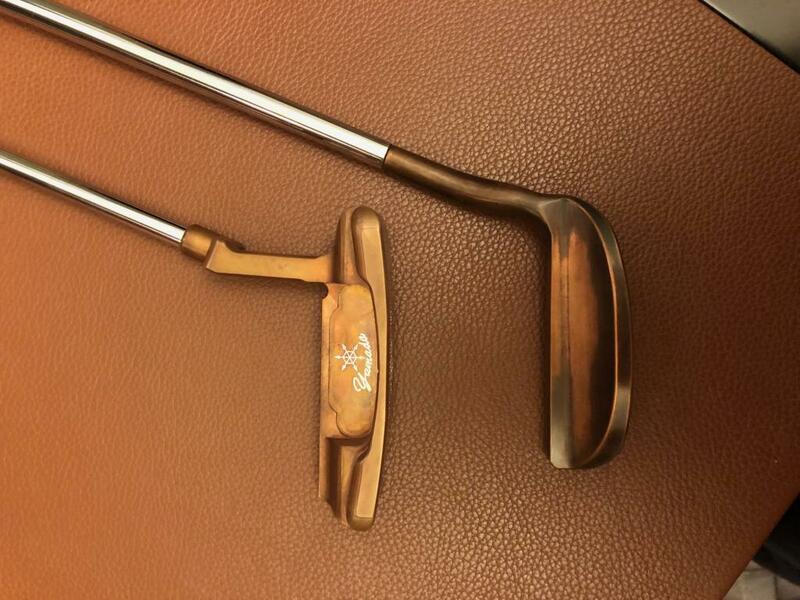 You have the choice of the burning copper or smoke finish, both are beautiful. Includes a leather yamada grip and headcover." If you do find a good solution to removing the pitting please share . 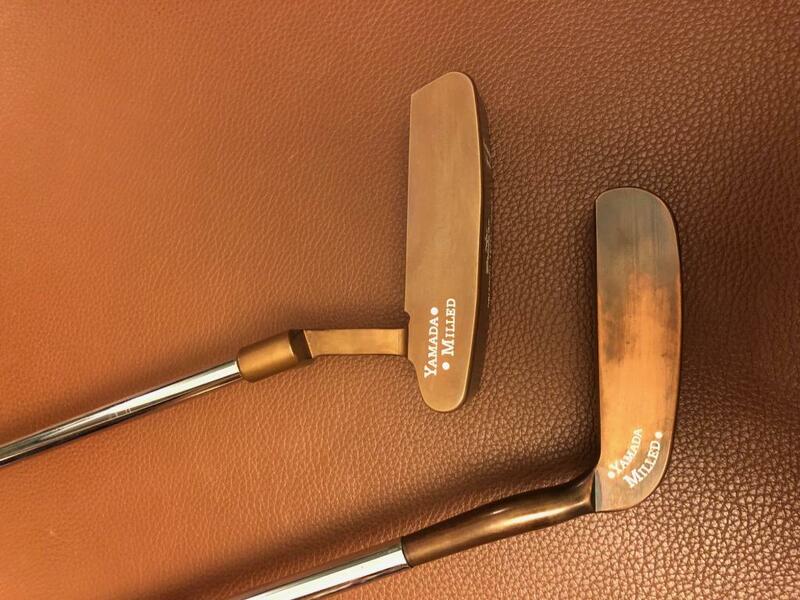 I'm too scared to mess with the burning copper finish. $12 shipping to US and $75 international. Thanks for the info and facebook link mate. I have had a little go at removing the pitting. I gave it a bath in coke for a day. It cleaned up a little. But best result was with CLR and a scrub with a toothbrush. Most of the corrosion pitting is now gone although the finish in the corners of the cavity is obviously not the same now. I hadn't realised exactly how beautiful and fine the original finish is even in the cavity. Some superb milling. 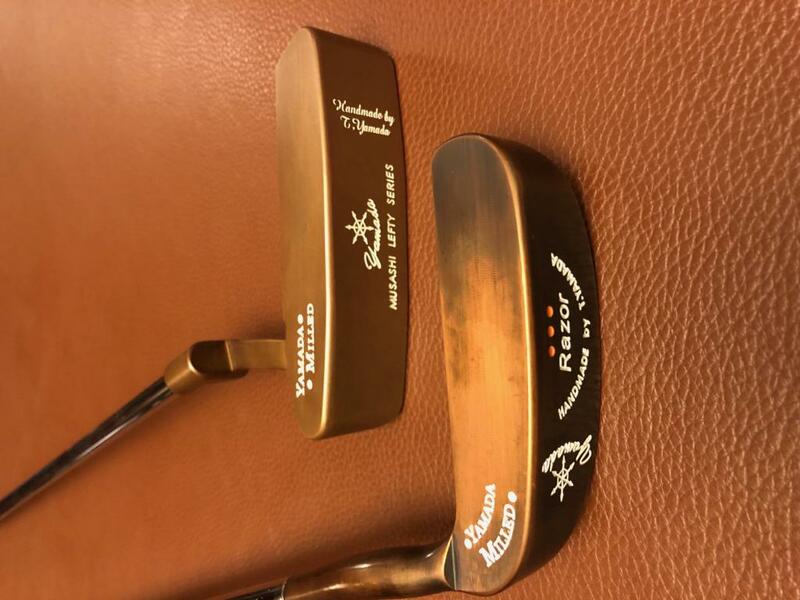 I have also had a try at re-doing the paint fill. Same orange/white colours at the moment to see what it looks like. musashis are very very good. .85029 is the os version of the domestic custom only hand made .ibushi, not.musashi. 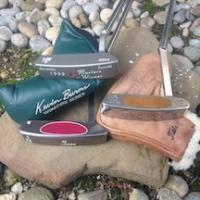 I had a razor once upon a time, but I sold it because carbon steel putters scare me. It's just too wet where I live. It was a beauty and felt great though. Enjoy! A treasure found. Congratulations! You hardly see that around, info is also scarce. Would definitely like to know the difference between the Musashi & Ibushi. It's a shame you aren't left handed. 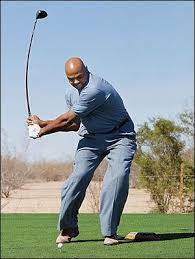 if I was a lefty I would be I would be all over that. I take it the the difference between the Ibushi and Musashi is the insert? I don’t know much about the ibushi, so I can’t comment on the difference. 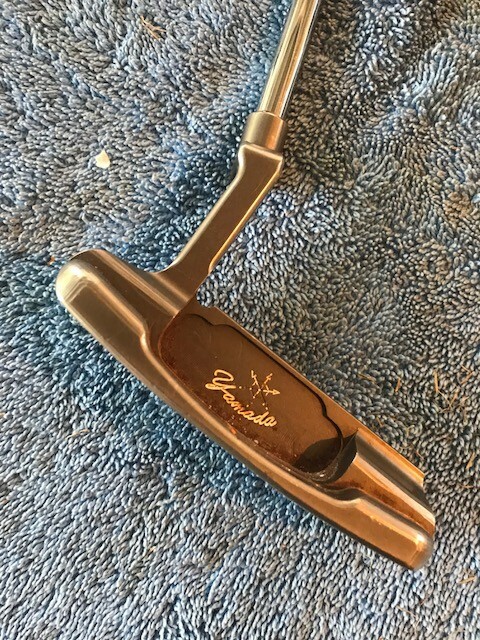 The Mushashi in burning copper is a beautiful putter, great feel, and well balanced.